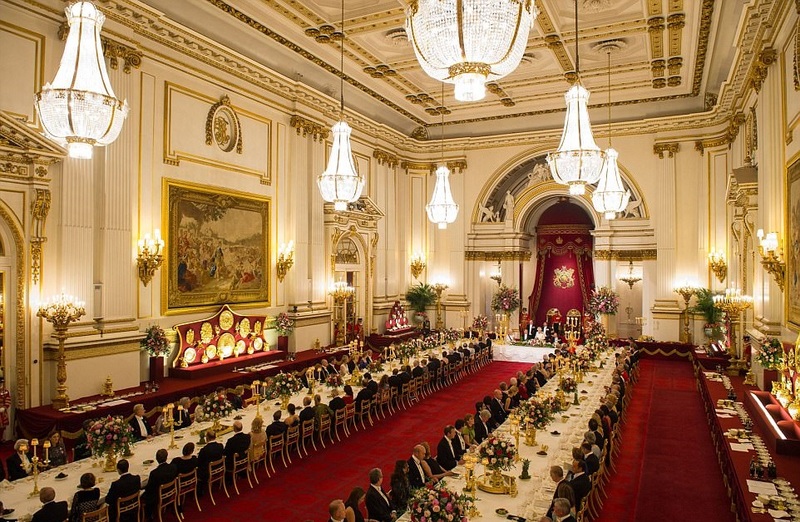 At the State Banquet given by Queen Elizabeth II in the honour of Spanish Monarchs, Duke and Duchess and Prince Harry were also present to strengthen the relationship among two nations as well as two royal families. The banquet was said to be Prince Philip’s last state event. And coincidentally the same banquet was the first one for Prince Harry. He was seated next to Rose Hanbury, the Marchioness of Cholmondeley. For the black-tie event Duchess of Cambridge was the head-turner. Kate wore a dusty pink Marchesa evening gown. A different look from her go-to signatures the custom-made gown featured a vee neckline in lace at front and back, flared sleeves adding both princess and vintage touch to the dress. Duchess paired the gown with her now go-to Queen Mary’s Lovers Knot tiara that was also Princess Diana’s favourite. She paired the royal jewels together for the biggest event of Spanish State Visit. She wore Princess Diana’s Collingwood diamond and pearl earrings tonight. Diana also used to wear the Lover’s Knot tiara and Collingwood diamond and pearl earrings together. A look at Lover’s Knot tiara and Collingwood pearl earrings. 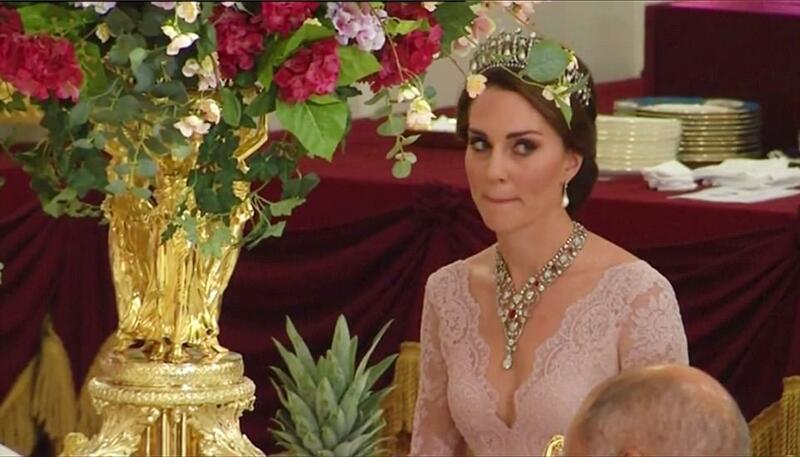 Duchess also debuted tonight Ruby and Diamond Floral Bandeau Necklace on loan from Queen. 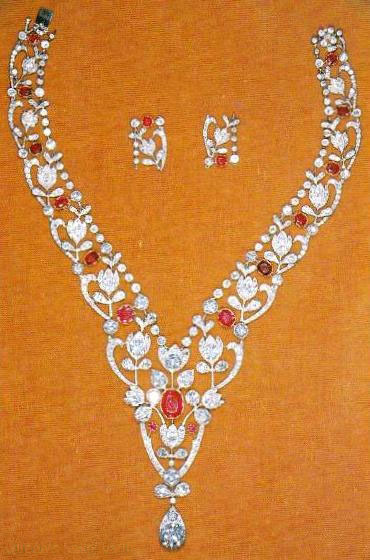 The necklace was Queen’s wedding gift from her parents, King George VI and Queen Elizabeth I. Queen Elizabeth and King Felipe gave speech at the banquet and raised a toast.